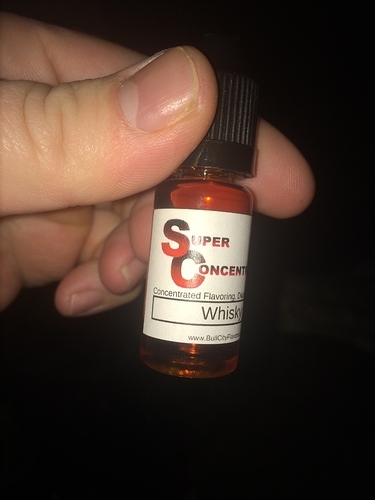 Who’s it buy just says super concentrate whisky. No idea what I’d make with it in my flavor stash. 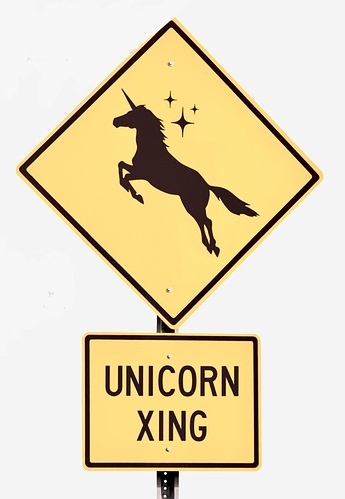 Maybe an eggnog whisky or apple whisky maybe French vanilla whisky any ideas? If I do eggnog I think I want to get feel or flv eggnog first tpa eggnog is ok but needs some help. 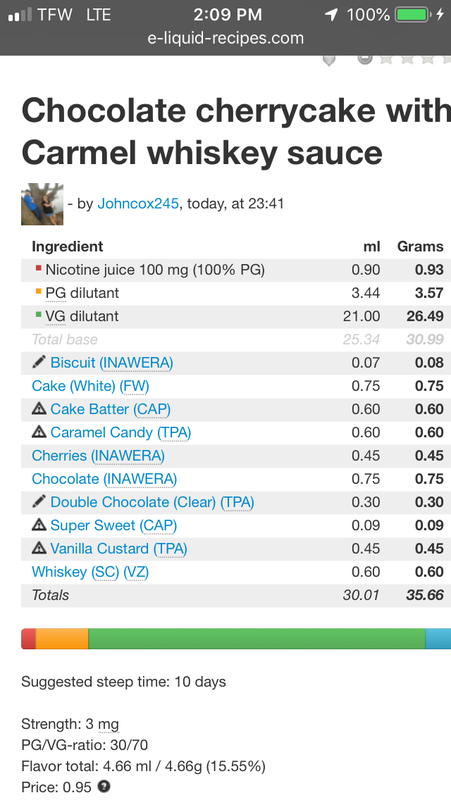 On the recipe side… User–>Flavor List–> Search “Whiskey” or “Whisky”. Then do a sort on the Recipes column to find the largest number of recipes by manufacturer. just says super concentrate whisky. I couldn’t find a match to this on BCF. Could you post pics of the bottle, front and back? This is the same concentrate as juice factory, vaping zone and a few others they are actually made by either bakers flavours or a chinese company (name escapes me atm) but they are sold in many places all with the vendors branding rather than the makers. That’s what I wasn’t sure about. Before “all this” started, SC was used for the ‘branding’ of the Chinese flavors (before everyone knew/realized there was more than one house over there). Given the added confusion by the latter userbase (and perhaps foreign users as well), and my having seen everything from RF, VTA, WF, etc etc under the SC banner (and no other descriptors), it’s most impossible for me to guess in many “generic cases” like whiskey or Caramel, etc. My best suggestion (in this case) is for us to get clarification from @BullCityFlavors themselves as to what this actually is. 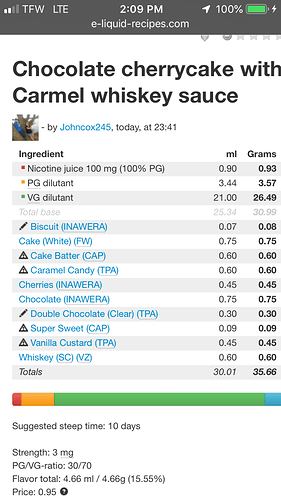 VZ is Vaping Zone (for one), but there may be others… Would have to check the acronyms list on ELR (my post, not the Resources page) to know for sure if there are others. I love me some of the SC Tobaccos, but when trying to find a straight manufacturer I’ve always come up short, besides being VZ flavors as well. Hope it’s yummy. another whisky I did today really good off the shake can’t wait for it to steep.